This Montpellier Cooker with Eye Level Grill is a gem. 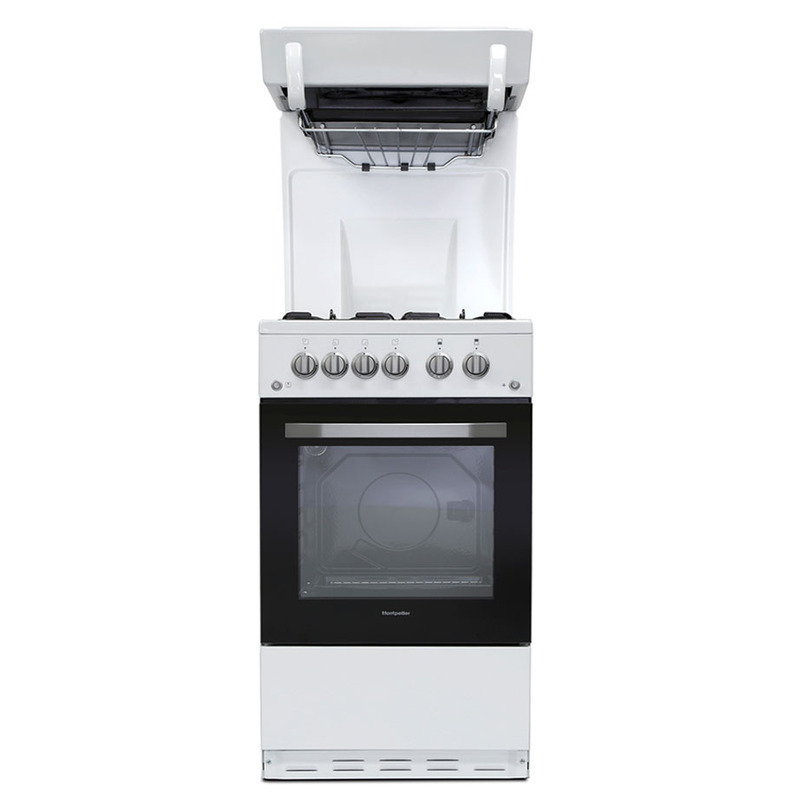 As well as having an eye level grill, this cooker also comprises a 4 burner gas hob with a 62 litre oven capacity. 50cm wide so this cooker will fit in most spaces. It has 1 wire shelf in the main cavity as well as a grill pan, wire grid and handle. It also comes with Montpellier’s 2 Year Parts & Labour Guarantee as standard. 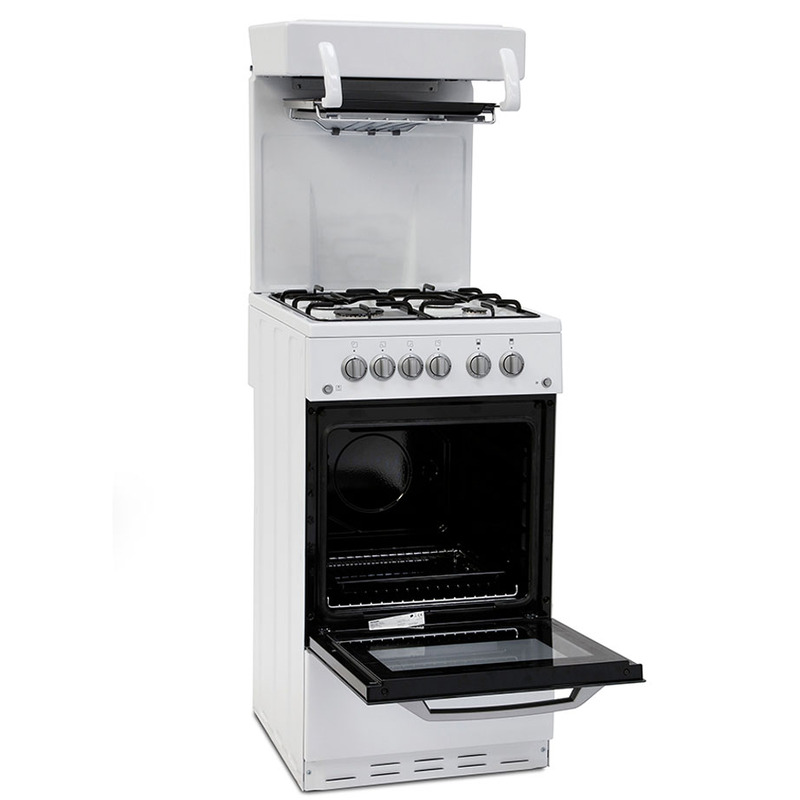 This Montpellier 50cm Freestanding Eye Level Gas Cooker combines plentiful storage, exquisite power and excellent energy efficiency into one multi-functional package. With an eye level grill, a cooker that comprises of 4 gas burner hobs and a 62 litre capacity oven this give plenty of features to feed plenty of hungry mouths. 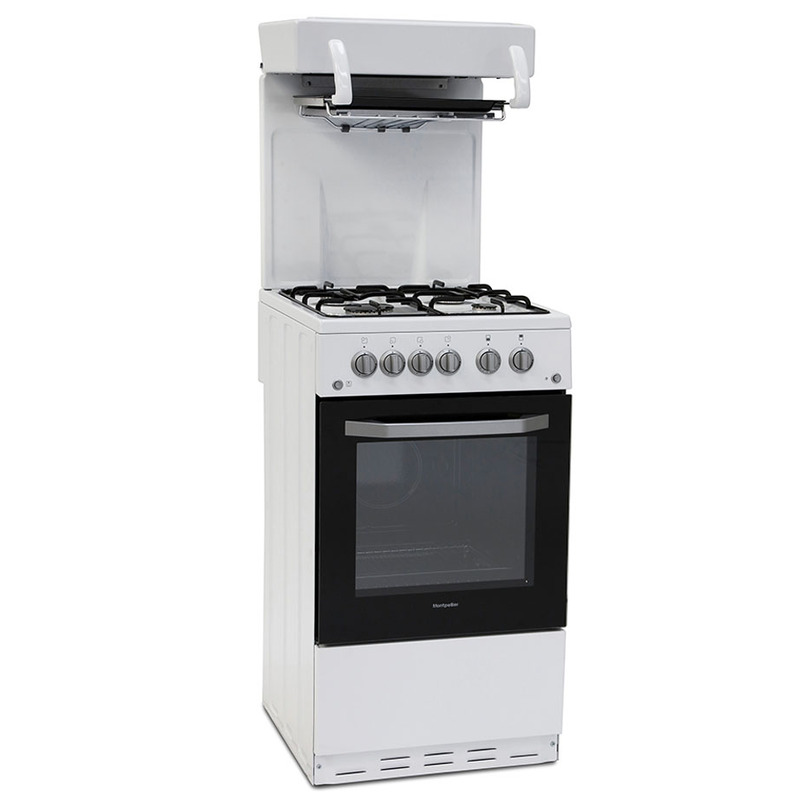 The cooker itself is 50cm wide so will fit neatly into most kitchen spaces. It has 1 wire shelf in the main capacity as well as a grill pan, wire grid and handle, this appliance gives you the flexibility and ease you need when cooking. 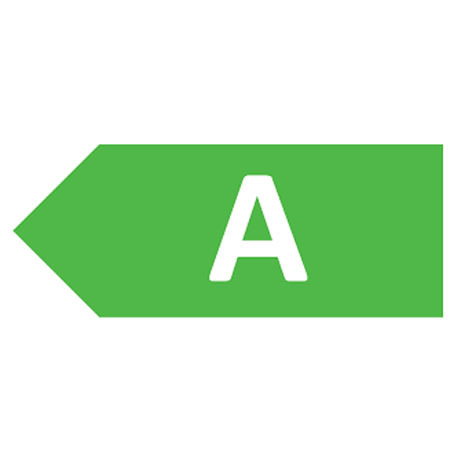 An A rated energy efficiency score means this cooker will save you money on energy bills throughout the year due to less energy consumption – while still delivering the same great performance. An easy clean enamel interior ensures all you have to do is wipe away accumulated grease and dirt, taking the hassle out of cleaning.